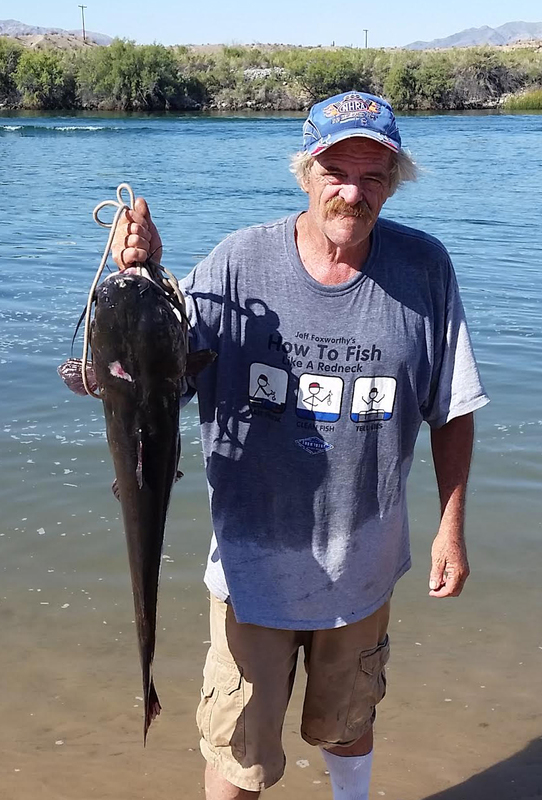 Up on Lake Mohave Bob Hildebrand was fishing mostly for large and small mouth bass and doing well. He also landed a couple of stripers. 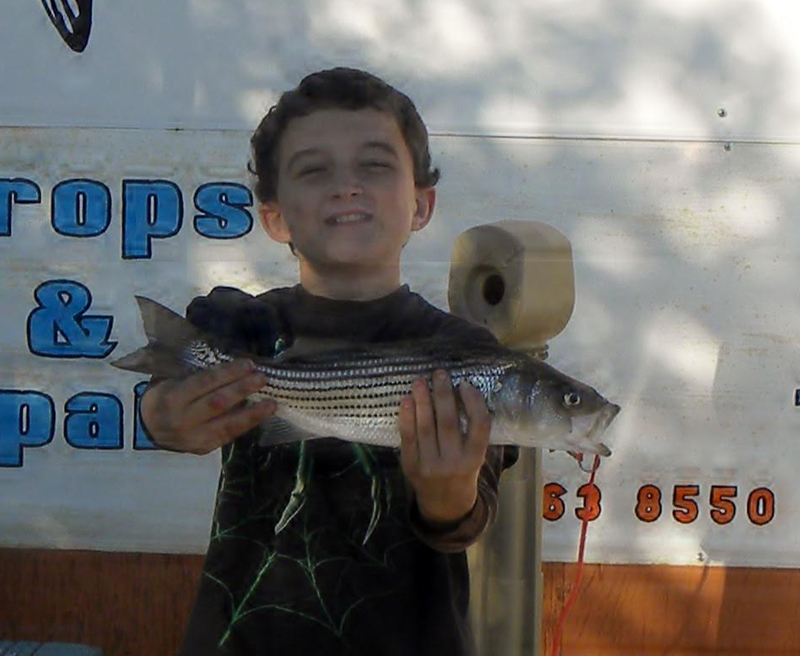 The two stripers he kept one at 8.92 pounds and 30 and 1/2 inches the smaller one at 5.70 pounds and 29 and 3/4 inches. Our fishing is picking up. Up on Lake Mohave Bob Hildebrand was fishing mostly for large and small mouth bass and doing well. He also landed a couple of stripers. 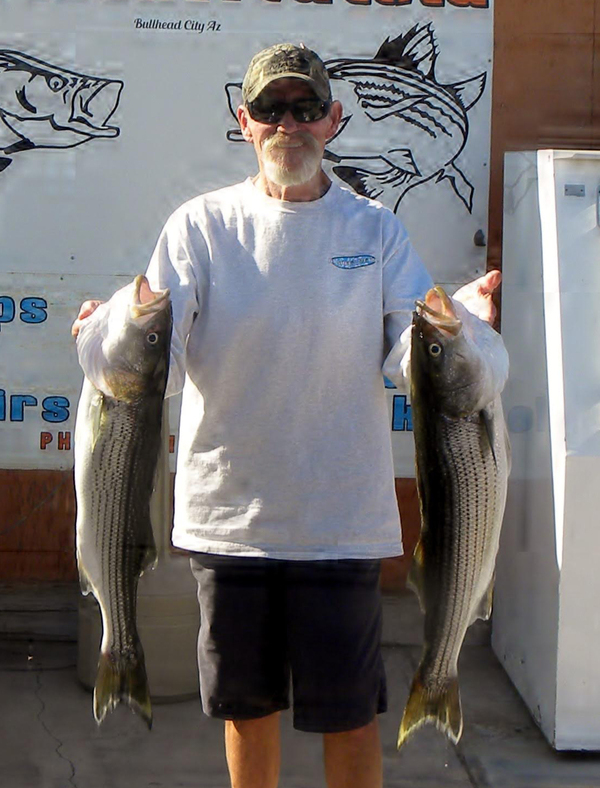 The two stripers he kept one at 8.92 pounds and 30 and 1/2 inches the smaller one at 5.70 pounds and 29 and 3/4 inches.